Ryan's future: In Romney White House or US House? JANESVILLE, Wis. (AP) -- There are plenty of reasons for Republican presidential candidate Mitt Romney to choose Rep. Paul Ryan as a running mate. The whip-smart Wisconsin lawmaker is from a battleground state. He's the GOP's leading voice on the nation's budget and is the rare member of the Republican establishment who's loved by the tea party. "If that bridge ever came, I would consider crossing it," Ryan told The Associated Press in an interview this month. He added: "I really don't have tremendous political ambition. I have policy ambition." Yes, that's the typical humble-speak of someone who's a potential vice presidential candidate. But it's also true that Ryan has let political opportunities pass before, choosing to focus on taming what he calls a "big, dysfunctional government" beset by unsustainable spending. Those who know Ryan say that means that while Romney ponders whether to ask, Ryan is deciding whether accepting a political promotion is the best way to achieve his "policy ambition." "He does have more force and authority than he would have in the vice presidency. I think he clearly knows that," said Vin Weber, a former Minnesota representative and Ryan's supervisor when the two were at a Washington think tank in the 1990s. "So the question becomes, Would that be worth sacrificing to put yourself clearly in line to be the nominee after Romney?" Romney planned to appear with Ryan on Monday during a visit to a fabric mill in the lawmaker's hometown of Janesville, a blue-collar city along the Rock River still coping with the mothballing of a GM assembly plant a few years ago. The ascent has been swift for Ryan, who was voted prom king and the "Biggest Brown-Noser" of his 1988 high school class before leaving for college in Ohio. He maintained his ties to home through summer internships for Republican Sen. Robert Kasten, who later hired Ryan full time. The former senator remembers him as "bright and inquisitive and very consumed" with complex tax policy. The ascent has been swift for Rep. Paul Ryan, who was voted prom king and the “Biggest Brown-Noser” of his 1988 high school class. Ryan went on to flourish at a conservative policy institute founded by Republican Jack Kemp. A congressman, a member of the George H.W. Bush administration and GOP presidential nominee Bob's Dole's running mate in 1996, Kemp championed tax cuts as the primary tool for promoting economic growth. Ryan considers Kemp, who died in 2009, his mentor. By 28, Ryan was back in Janesville winning election to Congress. At 42, he is among the breed of congressmen who sleep in the office rather than put down roots in Washington. Heavy with both factories and farms, Ryan's district in southern Wisconsin is typically carried by Democratic presidential candidates. His opponents note that part of his success lies in the overtures he makes across the aisle, from party-defying votes against weakening prevailing wage laws to simpler gestures, like his recent attendance at a wake for the father of a local Democratic stalwart. Prone to speaking in bar graphs as he warns of "a gathering storm" of debt that will challenge America's way of life, Ryan has also mastered the ability to hang a smile on ideas that generations of politicians have found treacherous. He casts his push to scale back food stamps and other welfare assistance as empowerment for the downtrodden now lulled into complacency. Opening Medicare to more private competition, he argues, is about preventing an all-out program collapse that would devastate future retirees. "He's a master politician," said former Wisconsin Democratic Party Chairman Jim Wineke. "I don't have a mean thought in my body about Paul. I just fundamentally disagree with his policies. He puts on a good face for some pretty awful policies." The global economic crisis and the rise of the tea party, with its focused attention on government spending and debt, have made Ryan's budget plans something of a GOP litmus test. In March, Romney was quick to praise Ryan's latest proposal to slice trillions from the federal budget. 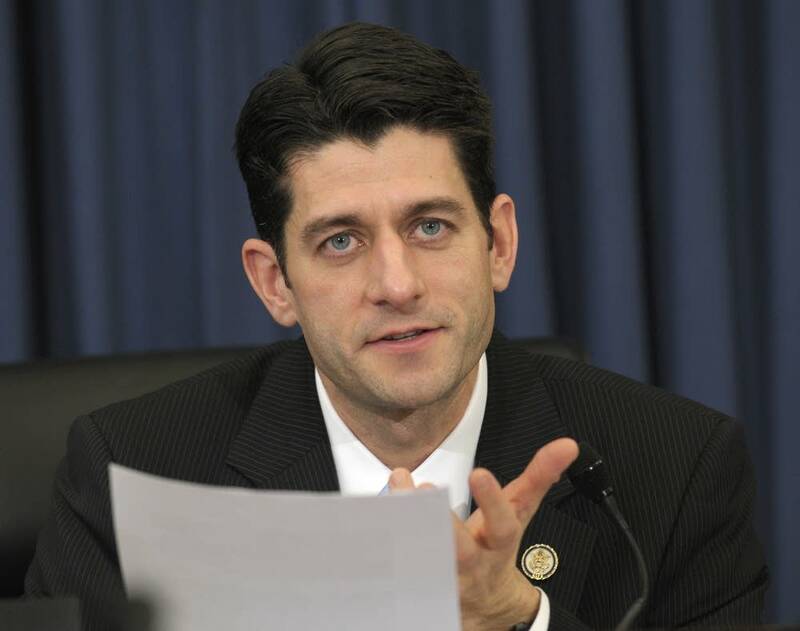 Ryan reciprocated soon after with an endorsement of Romney's White House bid. Picking Ryan as his running mate would be read as a full embrace of his budget ideas. But that assumes Ryan would return Romney's interest. During President George W. Bush's second term, Ryan pulled his name from consideration for the White House budget director post. He says he didn't think there was the will, particularly in Congress, to address the structural budget changes he believes are needed to avert a crippling debt crisis. "There were no followers," he said. More recently, Ryan resisted a call to chase an open Senate seat in Wisconsin. "I didn't want to walk away from the conversation I started and the fight I'm in," he said. By remaining in the House, Ryan can keep an intense focus as budget chairman on his signature issue -- something he might not be able to do in a Romney administration. There's no guarantee that Republicans will retain House control in November or that even with Romney in the White House, Ryan could help accomplish an overhaul of venerable but politically sensitive programs such as Medicare and Social Security. "I think I'm in a really big spot right now," he said.